The sun has been shining this afternoon and I can't help but look forward to spring/summer. Long days, relaxing evenings in the garden, BBQ's and lots of playtime in the fresh air for Darcie. As most of you know, I'm a dreamer. I always have a "plan" on the go, whether it be plans for the weekend, how I'm going to decorate the bathroom, perhaps our next move. Sometimes I get carried away with my ideas, dreaming up how life would be in a few years time with, perhaps, a bigger budget. I can picture, one day, having a massive garden. One where Darcie and Lady can run free and play in the sun. 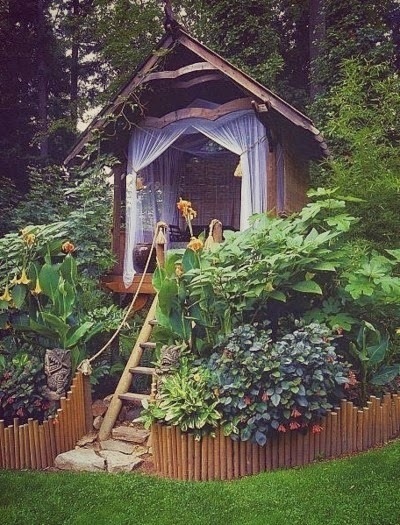 A little wendy house or a secret hideaway for her to play, would just be a dream. A place for me and Jamie to relax, a snuggle bed/couch where we can soak up the sun, read our favourite books and just enjoy a bit of us time. "Us" time is so important these days, it feels so very precious to us now we have become parents. 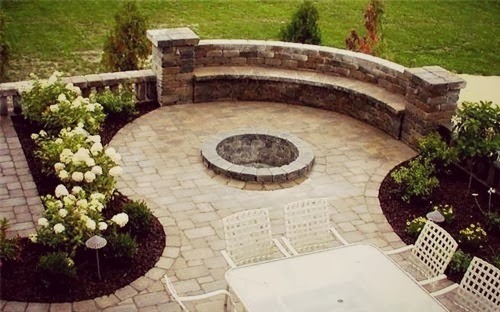 We have always loved the idea of a fire pit for roasting marshmallows and snuggling on late summer evenings. 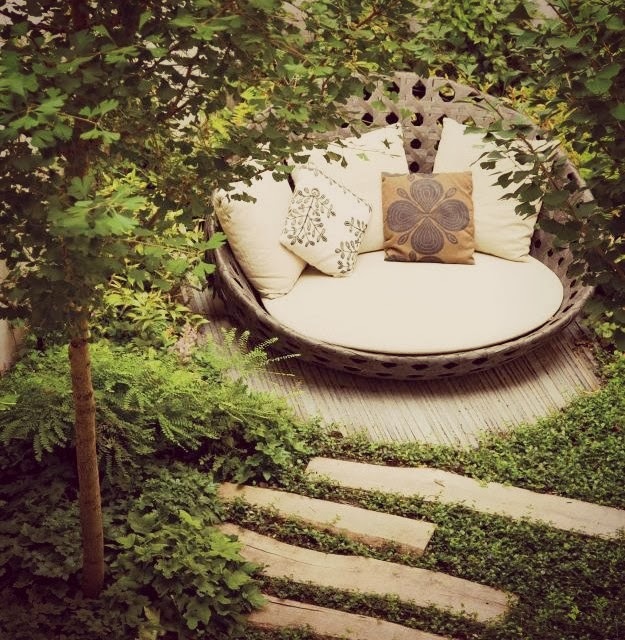 Perhaps we could even do this in our own current garden! Finally one this that I LOVE is the idea of bringing the outside in. 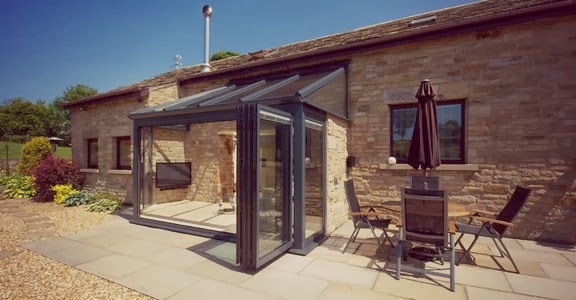 I would do this by adding bi-folding doors on to a beautiful patio, this would create such a beautiful feature to any home. Whilst I carry on dreaming about my future home, I am still very much looking forward to making the most of the summer. What are you looking forward to most about the summer?